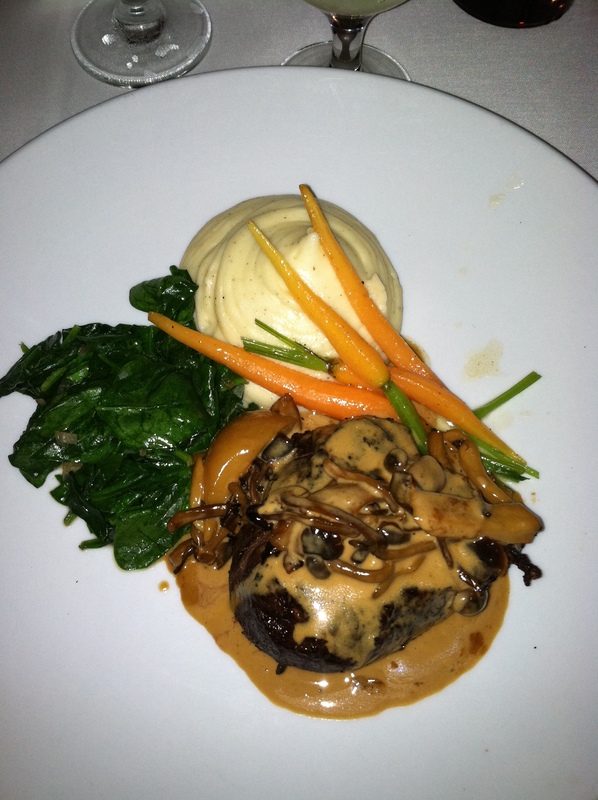 I had the filet, same as last time. So amazing. 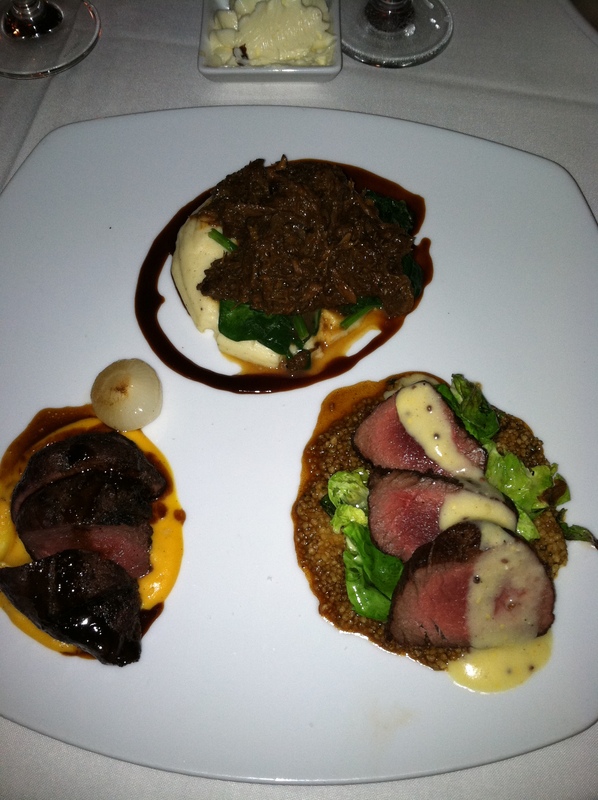 My husband had the wild game trio: wild boar, ostrich, and antelope. A bit more daring of a choice, but equally as delicious. We also shared the pork belly appetizer (oh yum) and the chocolate cake with ice cream (yes thanks). The food is amazing and the service is equally as good. The decor is a bit… quirky. There are animal heads everywhere. However, it’s so unique and cozy we just love it as a romantic splurge. This was sort of our last hurrah. There’s a good chance we won’t go out for a fancy dinner like this for a very long time, so we decided to live it up. Since we didn’t get back from dinner until almost 11:30, we made it past midnight like the youngsters! Ew, sorry about the terrible quality of this picture. 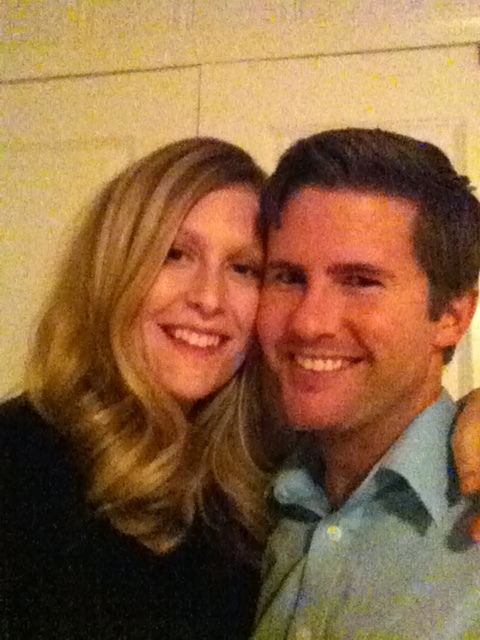 Here we are ringing in the new year! 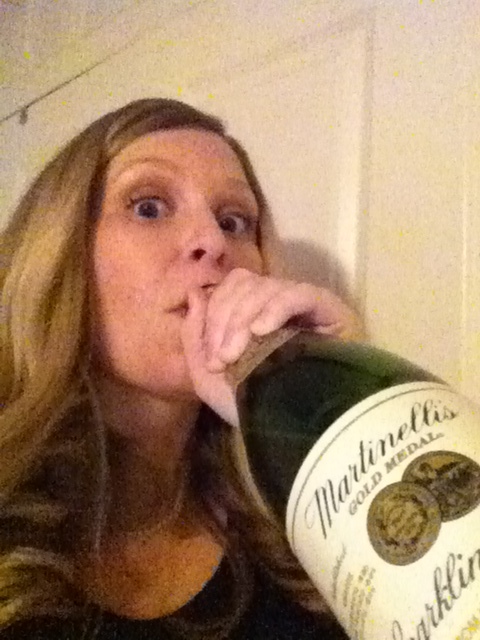 I was a party animal with my Martinelli’s! I really loved the outfit I wore that night, so I’m going to wear it for my weekly bump pictures so you can see. I’m also wearing it to a wedding we’re going to this weekend.